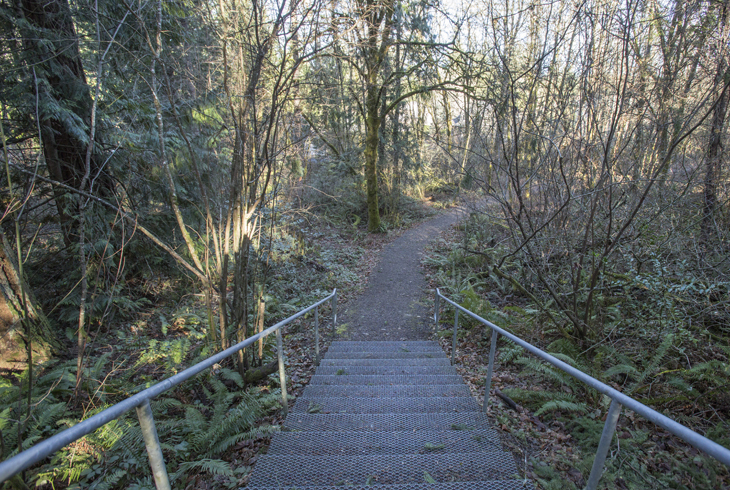 ALERT: Park and trail users please be aware that tree felling has occurred in the Bluffs Park - Bonny Slope Trail portion of the park as part of the initial construction phase for a future paved trail. The trees will remain on site until the trail construction begins in June of 2019. 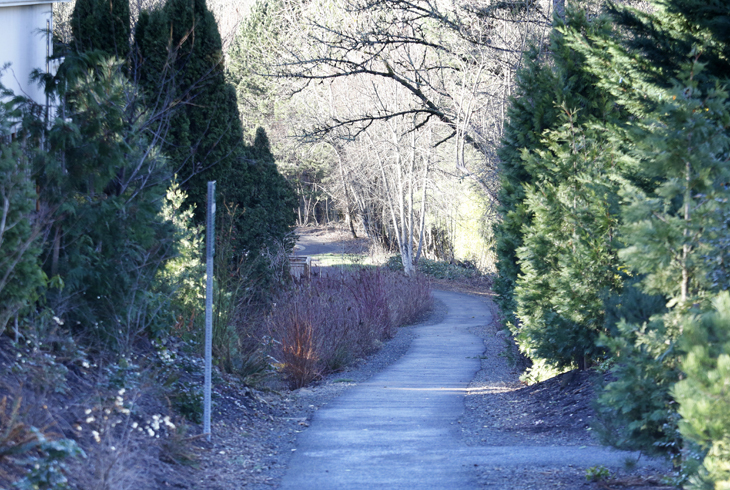 The Bluffs Park is a five-acre strip of largely tree-covered natural area with some landscaped areas. It is located in the Bonny Slope neighborhood, next to Bonny Slope Elementary School. Paved and gravel walking paths dissect the park, which has several neighborhood entrances: NW Haskell Ct., NW Blackhawk Dr., NW South Dr., and NW 117th Dr., as well as the elementary school. 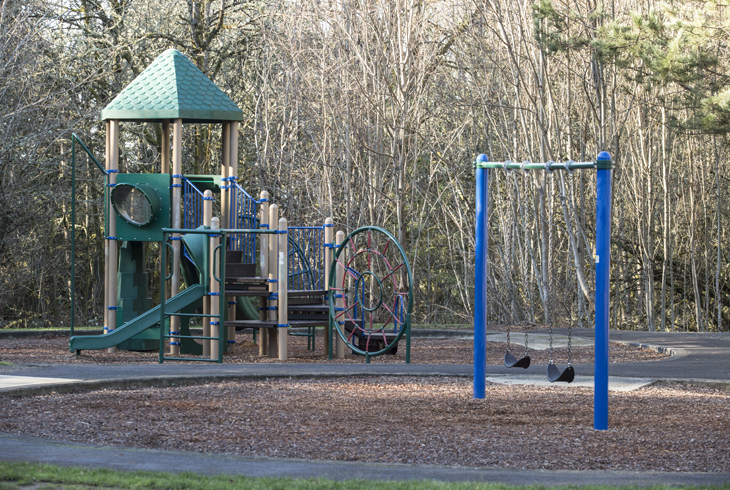 Park features include a playground with a swing set and picnic bench, located in the western portion of the park.